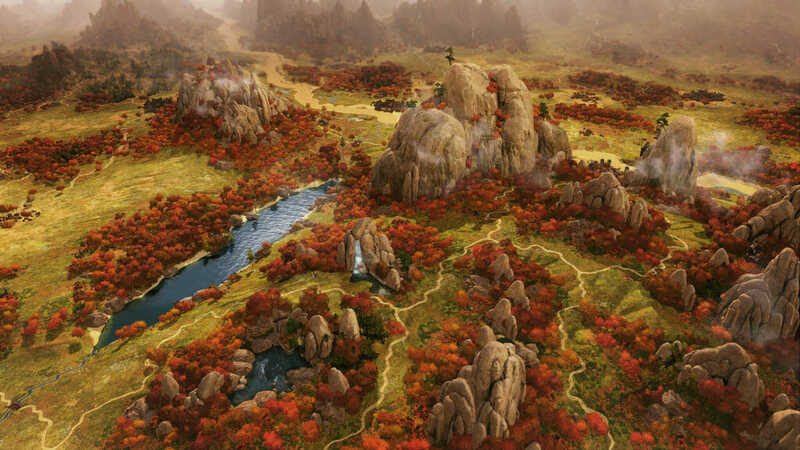 Yesterday we held an AMA about spies with the Total War: THREE KINGDOMS team over on the Total War Reddit with input from senior designer Simon Mann, associate content producer Guy Mead, narrative designer Pete Stewart, and THREE KINGDOMS game director Janos Gaspar (as well as lead community and social media manager Grace Carroll and head of community Andy Belford). Check out the highlights below! If you are attacked by an army containing one of your spies will the spy and his troops join you for the battle or will they attack you too? If it is the case do you get to choose between maintaining the cover of your agent or asking him to join you? Also, Will an army lead by one of your spy intentionally avoid confrontation with you in the campaign map? Simon: Spy actions don’t exist in battle, so your spy will do their best to maintain their cover and will fight like any enemy general. ​You will be able to extract the spy on your turn (before the battle) so the enemy loses its general. You can also capture your spy after the battle and you may choose whether to bring them back (risk-free) or keep them in the enemy faction. How does this work if you get attacked on the enemy’s turn? Can you still extract your spy before the battle begins, or will it be forced to attack you? Andy: You have to extract the spy on your own turn, so this is mostly a proactive action performed by a player. If they are attacking on the AI turn, they will maintain their cover. So if I understand correctly, spies are named characters in your recruitment pool who could also otherwise be generals or governors? Is it possible to wind up fighting your own spy in battles or sieges, and will he attempt to defect to your side if so? Grace: Yes to the first. As to the second, your spy will stay undercover on the battlefield and fight as an enemy general would. After the battle you can decide to recall him or let him keep spying. Janos: Every character in the game is born equal. There are no separate roles like in previous Total Wars but anyone can fulfil any job. What is the expected behaviour of a spy when it comes into contact with the faction that deployed him. Will he behave like a standard enemy unit or will you have some control (directly or indirectly) over him in battle. Pete: In battle, your spy will attempt to keep his cover and fight like any other general. You will have no control over them in battle. However, after the battle (assuming you win) you then have to decide whether you send that character back to spying, or recall them into your service. If your spy gets adopted into another faction, can you face them in battle and have special options related to it? Simon: Once your spy is adopted into an enemy faction you unlock special options only available to family members. Have an heir in the enemy faction who you know will be more compliant in diplomacy? Have your spy kill the troublesome faction leader, so that their more malleable heir will take the throne. It’s a risky move, but could make all the difference! I know this isn’t directly related, but will events happen in battle because of one of the generals being a spy, like him betraying the lord mid-battle or refusing to fight? We saw that happen in the Cao Cao cinematic trailer a while ago, is that something that can actually happen with this system? Pete: So the Cao Cao trailer was depicting the moment when Yuan Shao decided not to aid Cao Cao at the Battle of Xingyang in 190 CE. So it was a dramatised account of a historical event. In battles in the game, your spies will attempt to maintain their cover to the last moment, up to and including being killed or captured. So, they don’t betray their lord mid-battle – they’re just that good at being spies! When a spy is leading an enemy army, can we tell the spy to defect to our faction and take all of the soldiers he was leading? Simon: If your spy is commanding a force, they can trigger a Military Revolt. They will take over the army, and turn it over to you. The other generals will remain loyal to their lord and will be disbanded. It’s great fun when they’re bearing down on your territory! Guy: Side note: this didn’t show up in my playthrough because Lu Zhi wasn’t a commanding general. Reddit-exclusive info nugget for the real ones (that’s y’all). What prompted you to create such an expanded espionage system? Is there a chance we will see it in other Total War games? Simon: Three Kingdoms was a period where spies were prolific and vital to any budding Warlord’s faction. Loyalty was fluid in the period, with lots of officers changing allegiance, and Huang Gai faking his betrayal of Zhou Yu and becoming a spy within Cao Cao’s faction is a great example of the sort of situation we wanted players to experience. We really felt that we wanted to make your characters the core of the system and that it’s not just an Agent, but someone who you perhaps cared about as a General or Administrator beforehand; something the previous system didn’t support. We also loved the idea of betrayal and worked heavily to make the system instil that when you’re playing. I can’t say whether it’ll be in any future games or not, we’re heads-down on getting the game finished! What were some of the hurdles that you guys encountered when creating the spy system? Where there any major design decisions that you had to scrap? If so, what were they? I’m super curious to see how you guys decided on the spy mechanics. They look super good and I would love to hear how you got to this point. The hardest part was trying to take away the RNG. We had to work out a system which gives the feeling of uncertainty without the frustration of failing because you rolled a critical fail. We were also very keen to have these bombastic actions, such as your spy turning over the enemy faction, available to players and AI alike. However, this led to some issues. If you perform this action, it feels great when you get the entire enemy faction, but if an AI does it to you and your game instantly ends, it’s a bit of a table-flip moment. This is why we build the results of the actions to create more gameplay and narrative, rather than end it. What are some cool stories or experiences that have arisen from this vastly expanded spy system in playtesting and QA? Any memorable or unexpected moments? 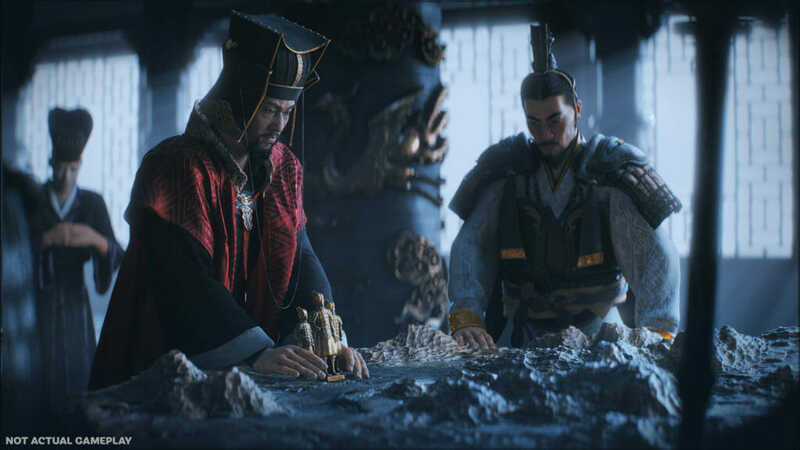 Guy: In my play through, when I waited too long before having my spy (Lu Zhi) hand over the keys to Anding, he defected from both Cao Cao and Dong Zhuo, taking part of Anding to form his own faction – I didn’t even know it was possible at the time. It was the first time I realised how important individual character motivations are in 3K. We will be bringing you more emergent stories that happened in our 3K saves on YouTube in the coming weeks. So, how is the success of a spy action calculated? RNG or can we affect it somehow? I understand more points, more options, but let’s say for example: poisoning an army or defecting a city/faction to me – how do I know the chance of success? Can I have some effect on it or is it purely RNG? Simon: The actions are all deterministic. You spy has Cover (points) and Undercover Network (points), which are the currencies to perform the actions. The target faction also has a cost increase to these actions which may be unknown to you. and comes from their reforms, characters and other sources. When you perform the action there may be an additional cost which you cannot afford. You then choose whether to carry on (and get captured) or cancel the action and wait for a better opportunity. Will the mechanic change based on the difficulty? I love the new depth of the system, but as a casual player looking for a relatively short campaign I wouldn’t want to spend half my time rooting out double agents from my ranks, but I know that more serious players would enjoy that aspect of the game. For example, will lower difficulties have more random events and the like to warn the player of a possible enemy spy? Pete: The AI difficulty will change between difficulty modes, but the Undercover Network system itself remains fundamentally the same between differently difficulties. What is the maximum number of spies at top empire rank and can characters have multiple careers that are determined by experience and personality or is the career path predetermined? For example, if a character is recruited to be a spy, succeeds in a mission then given troop command and eventually governs a province, they finally become faction heir and then leader? Simon: So the maximum number of spies is currently 8 when you reach emperor level, but some reforms and some characters, when they are Faction Leaders, will also give you more spy slots. Their progression is very much determined by the situation. Having a high-ranking spy, with strong character attributes will mean they’re reaching the higher echelons of the target faction. You spy may become the enemy Faction Leader or remain a lowly Court Noble. Is there a skill tree for spies specifically or is it mixed with the general skill tree? Simon: Every character in the world is equal, they are not spies or agents, but Characters. They do not have specific spy skill trees, but every character in the game does have their Character skill tree. But does that character tree have options for getting bonuses while spying/fighting/etc? Andy: In this case, no, there are no character skills for bonuses while spying. Spy bonus, along with diplomacy bonuses, are mostly manged through the reform tree. Is there different ability or stats with each spy? For example, Zhuge Liang is better than common spy? Janos: One of the most important thing for spies is their overall capability, because that will make them attain high position in other factions. And Zhuge Liang is extremely capable. Is there “injured” status? I was worried to see that a faction leader was assassinated by a spy at once. Pete: Nope. Every character has the same ‘spying quality’ if you will, and that is unaffected by their attributes. So a cunning character will not be more inclined, or skilful, at spying. However, you may be able to discern what a faction is lacking in, attribute-wise, and send an appropriate spy to plug that gap, to be more strategic. Does every faction have access to spies? Do you need to unlock them in your tech three or do you only make them better/get to have more? Simon: Most factions do not have access to spies from turn 1, Spies are gated in as your faction progresses towards becoming the Emperor. You may also unlock them if a faction leader comes along who affects your spy caps, or you choose the correct Reforms. Guy: You can increase your spy cap by ranking up your faction level and via reforms. Let’s say I confident a person of mine is a spy. Is there a confrontation system? Can I execute them? Can I pay them more and make them a triple agent? Simon: If a spy performs an action outside their reach, they will be captured. Their captor (be they player, or AI) will be able to choose their fate. They can Release them back to their source faction, Execute them, forgive and hire them, or even send them back to their source faction as a double-agent. How to expose an enemy spy? How to protect against espionage? Guy: One way to protect against espionage is vigilance in recruitment. It might be tempting to hire that high-level character sitting in your recruitment pool, but check their employment history before getting too excited! As an example of another way, you can also issue reforms that increase the cost of undercover spy actions. Can you unknowingly hire an enemy spy, and then send him out as your spy? Grace: A character who is already a spy won’t be willing to spy for you. However, if you catch the enemy spy you can send them back out as a double agent. Will there be a way to investigate someone you suspect is a spy? And if so will the AI be able to do it too? Pete: Spies are revealed to you, and caught, when they perform an action without the sufficient cover points to get away with it – if they will be given the chance to defect and become a double agent, spying on you, but there is no direct ‘spy check’ method. If you become suspicious someone might be a spy (via careful observation), then you can choose to banish the character like any other. What can players do to counteract or play around the AI with regards to agent actions and the espionage system? Simon: So players are able to counteract enemy agents by increasing the cost of performing actions within their faction. If a spy cannot afford an action, they will be captured. Yuan Shu, for example, gives a +5 (pending balancing :P) cost to all agent actions against him. Most of the spy actions are also pulling the AI factions around by affecting the various mechanics that they have. What are the things we can do to keep our own generals loyal to us? Money gifting? Weapons? Gifts? Marriages? And to an extent how much choice do we have to lure other factions’ generals to our side? Pete: The satisfaction of your characters can be improved by giving them fancy things – like titles (which come with better salaries) and positions of power within your faction (such as an administrator, prime minister, or even your heir). People love to hang out with their friends, too, so if there are people they like in the same faction, their satisfaction will rise. Conversely, they will be less satisfied if rivals exist in the same faction as them. You can also definitely buy their love by giving them shiny, expensive things. Can one character who doesn’t like another accuse them of being a spy? On the other hand, can characters also discover spies and call them out and force you into a dilemma? Janos: You can remove characters without knowing what are they, for example by banishing them. What sort of challenges or drawbacks can we expect to encounter if we completely neglect to use spies or espionage? Are we a much easier target for opponents’ spies? Janos: Completely neglecting spies is reducing your toolset, which means you’ll have to rely more on traditional methods. Like diplomacy. Or violence. Also, if you are too paranoid you can keep a closely knit set of people in the important positions, like your family. You can trust them more. Or can you? Sun Jian is an excellent faction to play a bit more spy-free game because of his family. In my first run-through of Total War Games I will usually play a more direct faction than a diplomatic one. Will less subtle factions or players have a way to be proactive in preventing their people from betraying them? Janos: Keep their satisfaction high. Give them trinkets, position or have them together with their friends. Is there a chance your spy might betray you? For example, your spy becomes a faction leader and you order him annexation, but he likes his new position and declines. Andy: Spies can become double agents, but only if captured and given the choice. Tell me something interesting that everybody has not thought to ask. Guy: A tip I couldn’t fit in the video: the AI are more likely to recruit high-level characters, kinda like a human. You’ll have to weigh up whether it’s worth risking your best characters in the undercover network. How often the AI will try to steal agents from you, or kill your characters. I knew in previous titles was an agent spam and could be annoying (in special in older titles). Does game difficulty have any impact on this one? There are more difficulty options than before? Janos: Well, spies have to be hired and get into high positions (which are limited), so it’s unlikely you’ll have a spam of them. Also, more spies from the same faction gives them a better buildup in undercover network and thus more opportunity. Just because you have spies in the faction doesn’t mean you are in big trouble. Also not everyone is into spies. Simon: If you perform an action with your spy that would get them captured, then the AI would certainly hire or kill them. It seems you can tell if a character has ties to another faction doesn’t this make it easy to avoid recruiting characters of questionable intentions? Are there incentives to recruit these characters outside of the potential turning of the character in the long run? If we decide the risk is not worth the reward how can we deal with dangerous characters? Cao Cao dealt with problematic individuals in several ways, Lü Bu was executed while Xu Shu was forced into service with the threat of violence against his mother. Do we have anything like this in the game or do we just let them sit in the pool of recruitable characters until they join another faction? Janos: Characters are persistent, so they don’t leave the game, unless they die. Everyone has history and might built up fondness or grudges with a faction. So just because someone joins with past loyalties, it doesn’t mean they are a spy. There are several ways to deal with people, and some of them are based on the point of your choice. After battle, you can try to convince them to join you, or execute them for example. Also people won’t just sit around your premises waiting for being employed. After a while they will try to find someone else, someone they like. Does that mean characters no longer disappear if a faction is destroyed? Simon: Characters will most certainly survive the destruction of their faction! As long as you haven’t executed them! Janos: And, for example, if you killed the faction their members possibly will hate you (especially if they liked their faction) and will try to join your enemies. Similarly, they might have built up fondness towards your faction and then they will try to work for you. I can’t imagine being able to recruit Zhuge Liang as anyone other than Liu Bei or Sima Yi as Cao Cao etc. Janos: Total War games are sandboxes. As developers we set up the scene and make sure we recreate an authentic experience. But as this environment can change based on your and AI decisions, history can be changed. So as a baseline Zhuge Liang will only be available to Liu Bei, but should the circumstances change, or should a Liu Bei player fire Zhuge Liang (gasp!) they will not cease to exists and might look for other opportunities, based on who aligns with them. When employing a character from the global pool, you can see which faction/s they served previously, correct? Simon: That’s correct! But the Three Kingdoms was a massive period of officers travelling between factions seeking a good lord to serve. While it may help you spot potential spies, almost every character in the game will have served one or more factions within their career! Hey, if spies are drawn from the same universal character pool that everyone recruits from and the characters are unique, are all of those characters in play at the beginning or do new ones pop up? Your blog said Yuan Shao can recruit unique military captains, can they become spies? Pete: Captains are ‘lesser officers’ and don’t move around in the recruitment pool. As you said, Yuan Shao is the only one who can recruit these captains. Only named characters can become spies. However, if captains or other lesser officers and units do well in battle and prove themselves, they may become fully fledged characters, and then by extension, spies. What determines if a character is willing to spy for you? Even the unique characters such as Lü Bu? Grace: Anyone! No one can be trusted. You mentioned in a previous comment that spies will go out looking for others to work for. Is there a criteria system so you can attract certain types of people to spy for you? Simon: Your spies are sent to a specific faction, that you choose, but hide within the character pool waiting to be hired. It’s best to gather a wide variety of characters within your faction, as this gives you the greatest range of potential spies for you. A spy that is working for another faction is being paid upkeep by that other faction. Are they also secretly being paid upkeep by your own faction? Simon: Yes, they will. Every spy you employ will have an upkeep you have to pay, as well as the Target Faction they’re embedded within. Can spies perform an action on an enemy faction to cause them to earn decreased reform (research) points? Can they steal reform points for your faction? Simon: The Reforms occur every Spring. It’s not something you’ll be able to affect. The tree is intended to represent your faction and its growth over time, so every spring you may select a new Reform to empower your faction. If your spy builds up a relationship with another character within the enemy faction, when that spy return to you will his/her friend leaves that faction and follow the spy into our rank? Pete: So the way the satisfaction system works, there will be a penalty for not being in a faction with your friends. So, if your spy makes friends with someone then leaves – by being recalled or by running – then it’s possible (although not guaranteed) that you can dislodge characters from the enemy faction to return to their friends. However! If your spy ends up making rivals, then they’ll be particularly happy if you spy leaves the faction, making them happier where they are. That would work in both directions thought right? If your spy makes friends, then it is also more likely for them to join the other faction? Pete: In the same, fashion, yes. This will happen globally, between factions, as the game proceeds. And that’s not just with spies – that’s generally how characters work. Can spies be used to meddle with character relationships, so for example scout out the friends/enemies/rivals of a certain character and then manipulating them to hate each other or talk someone into defecting to your own lord? Pete: When your spy is in a faction, you can access their character details so that you can see who their friends and rivals are. There are also agent actions that directly affect the satisfaction of a character, and the characters around them, which ultimately might lead them to want to leave the faction. However, there is no direct manipulation of the Guanxi system itself, so you can make people unhappy, even to the point where they defect (to your lord or any other) but you can’t make them unhappy with one another. If a faction that deploys a spy gets wiped out while the spy is spying on another faction, what happens to the spy? Guy: They can join another faction in this scenario, making it even harder to guess who really controls the spy. Can spies be used also to know how are the other warlords doing? To have vision of their territory. Pete: Once a spy is embedded in another faction, you get information on the details of their resources, income, etc. Spies that are embedded into armies give you line of sight on that army and, if they become powerful enough, other armies of that faction. So spies are pretty neat. Will there be spy and assassination animations like in Shogun 2? Andy: Unfortunately, no. No unique assassination animations. Are there any female spies? Like Diaochan or Da Qiao. Grace: Yes, female characters can be spies. Any character, male or female, can be a spy as long as they’re willing to do it. Can you rename your spies? Grace: No, they all already have names. Is there one faction that specialises in spies? I would guess on Cao Cao, but I didn’t catch anything in the video. Either way, this seems really cool. Simon: Factions are driven by their faction leaders, who bring specific bonuses to the factions they lead. While no faction lends themselves more to spies, some faction leaders certainly will. Since spies can become faction leaders and any character can be a spy, do they all have their own unique diplomacy voices and voice lines? Pete: Not all of them, but some characters do have unique voices. Why is Cao Cao listed as untrustworthy? Guy: This is something that happened in my playthrough that isn’t relevant to spies. An oopsy on my part! Janos: Would you trust Cao Cao? 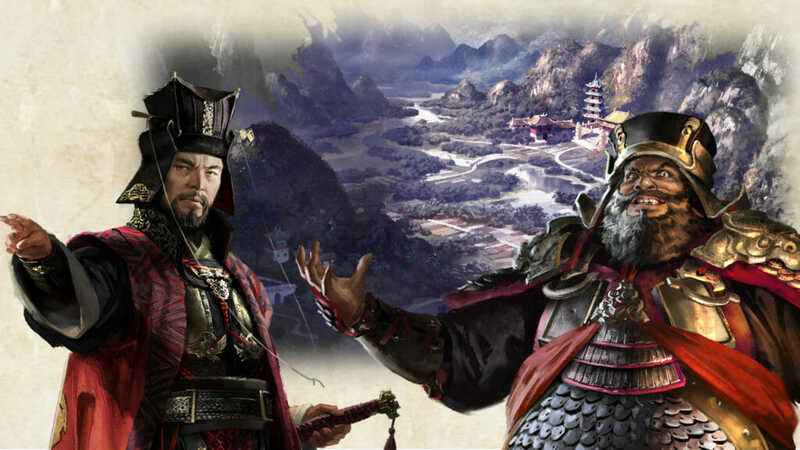 Probably a stupid question but, as someone who has never played a Total War game but loves The Three Kingdoms stuff, will there be a solid tutorial for me to learn the game up to a sufficient level to enjoy it? Guy: As someone part of the team who is responsible for producing Total War Academy videos, you can expect some sweet, sweet tutorial style content here in the coming weeks. Will you show records mode before release? There’s been radio silence about it since it was announced, and for historical-centred players it would be important to see it in motion. Grace: Yes, we’ll definitely show it before release!